Technology has finally caught up to our aspirations of virtual reality. The Oculus Rift is leading the pack but as I've outlined in previous posts, we've yet to see the company's solution as it pertains to an input method. Stepping into the virtual world is one thing but we also need to be able to interact with it. 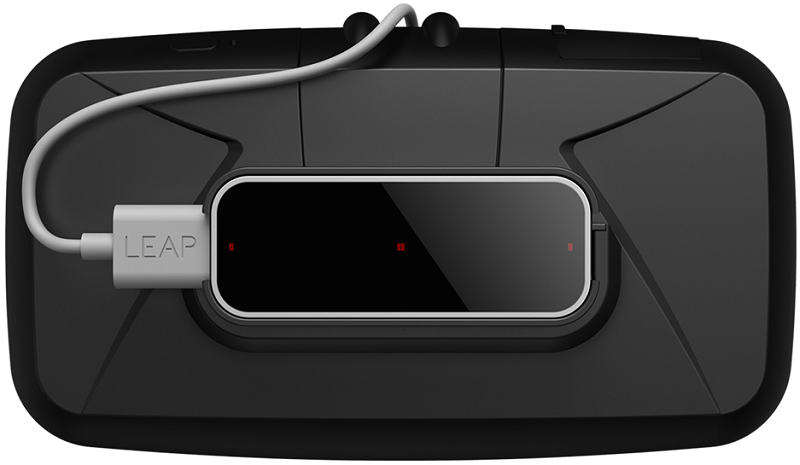 Leap Motion is the latest in a growing list of companies to offer up a third-party solution. The motion-sensing specialist on Thursday announced a VR mount that'll allow developers to attach and remove the Leap Motion Controller from a VR headset like the Oculus Rift. With the Leap Motion Controller mounted on the front of a VR headset, the user will be able to expand the tracking space to be in any direction they are facing. One can reach forward, turn around, look up and down and the tracking follows wherever you go. And because the device’s field of view exceeds that of existing VR displays, it can start to track your hands before you even see them. CEO Michael Buckwald told Engadget they aren't releasing the mount to make money but to solve a problem that a lot of developers run into - finding a consistent way to use the Leap with VR. They are also hoping to standardize where the sensor would go on a head-mounted display. Leap Motion is also releasing a software update for their beta SDK which includes improved top-down tracking as well as Unity and C++ examples. What's more, they have a new camera in the works that can see both in color and infrared (the infrared will be used to track hands while color will reveal the rest of the world around you). The VR Developer Mount retails for just $19.99 and is available as of writing from their online store.